My lovely mail gal brought me a very thick package yesterday....the backing and binding fabric for the Sea Glass quilt top I finished up last weekend. I found the Moroccan Mirage fabrics that coordinated with the fabrics I had used on the top from Sew Fresh Fabrics - the only place on the web they could be found. 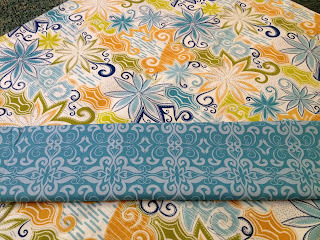 Also in my package were the fabrics I choose for the *Picture-Perfect* Polaroid Block Swap hosted by Debbie from A Quilter's Table. 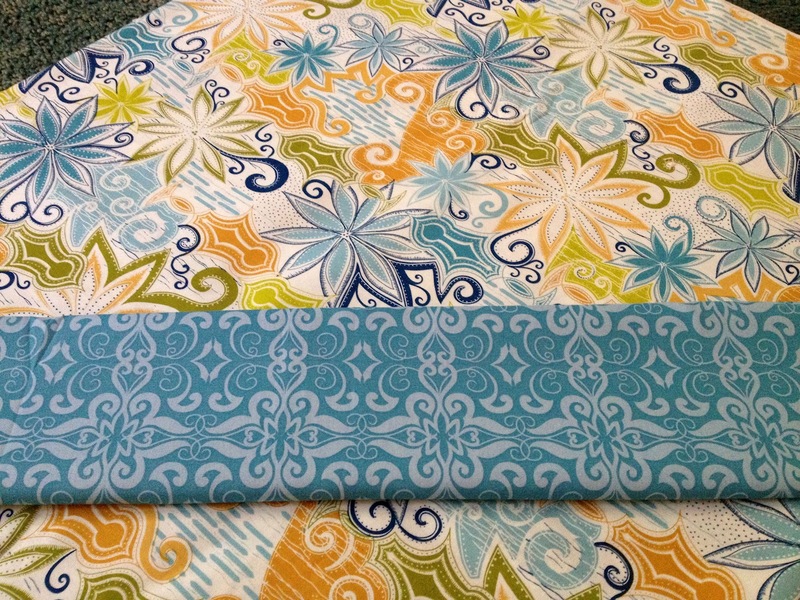 Can't wait to dive into fussy cutting this fabric. 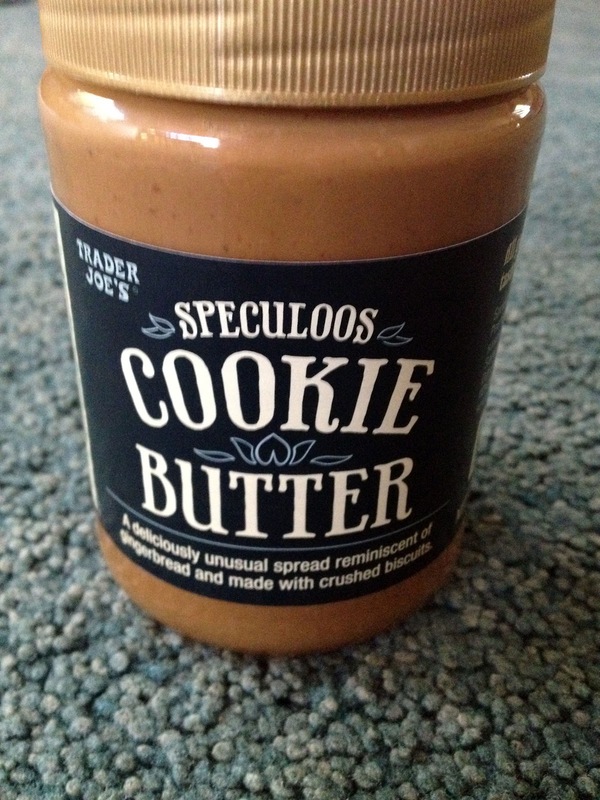 Lastly, I spied the Cookie Butter from Trader Joe's on an end cap yesterday while shopping and couldn't resist. My younger son was with me and was super excited that we were going to try it. We arrived home and before we unloaded anything else, opened this up and went in with two spoons. It's different and neither one of us went back for more the rest of the day. Older son tried it too and said "wow" with a puzzled look on his face. Fun to try but I'm sticking with my beloved Nutella. I'm headed out for a few days on a little vacation...have a great week! Love your backing & binding fabrics and glad you are joining in the polaroid swap! ;-) The cookie butter - ?? - sounds intriguing...had not heard/seen of this! Can't imagine it being better than nutella! Anyway - have a fun few days away! I love your fabrics! I was curious about the cookie butter, but not enough to actually try it, now that I've read this, I definitely won't be buying it. My family from idaho loved the Cookie Butter on Trader Joe's Cinnamon Graham Crackers. Have a good week. 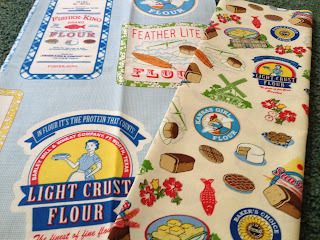 Gorgeous fabric, and I'm so glad you're doing the swap too!! 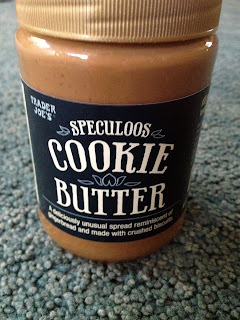 I've heard about the cookie butter, but our nearest Trader Joe's is 3+ hours away in Portland.